Female lead and WWII for Assassin’s Creed III? With Assassin’s Creed II poised to hit consoles this holiday season, the creative minds at Ubisoft have already shifted focus to the next game in the series. And some of the ideas being bandied about include having a female protagonist and a World War II setting for the third Assassin’s Creed. 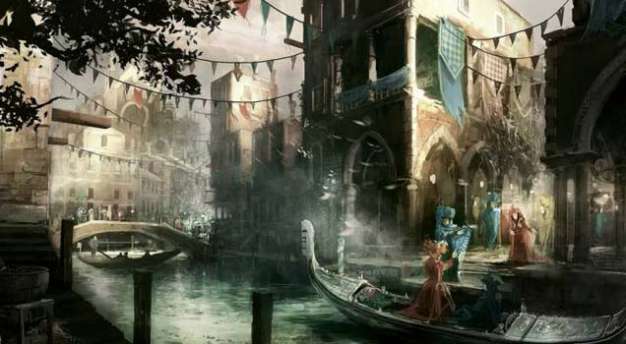 During an interview with Xbox World 360, producer Sébastien Puel said that Ubisoft has been thinking of possible ways to have a lady assassin succeed Ezio. One way could be setting Assassin’s Creed III in Europe during WWII. Puel explains, “If you’re talking about, say, World War II the economies in England and France were run by women because the men were off fighting. So maybe in this context you were a woman in England during WWII.” It makes sense, but surely, there must be other solutions to explain the existence of a heroine in the Assassin’s Creed series. Last time we checked, we were pretty sure there wasn’t a whole lot of clamor among gamers to have more games set in the WWII era.